1978: Tosh joins Joahna and the Platepushers (fun and show band) as drummer. 1984 – 1986: Joins The Brazen Blues Band as Lead Vocalist. Gigs in: Mombasa, Kenya, Pakistan – Karachi, Bahrain – Brit Club (2 nights), Malta – Studio 54 (2 nights), Gibraltar – local radio session. 1995: Left Scratch the Cat to join the ceidlah band, Fanackapan. 1996 – 2001: Whilst with Fanackapan, Tosh teams up with Lisa Bush to form the cabaret duo Obsession and also starts his solo career. 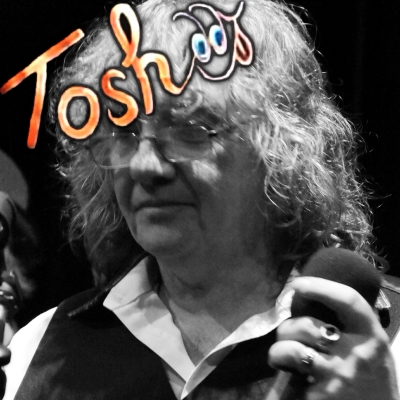 Tosh is an accomplished vocalist, front-man and entertainer who likes nothing more than to get his audience involved in all aspects of his performance. His years of doing a rock gigs with The Lonesharks, The Big Red Overcoat, Scratch the Cat, cabaret gigs with Ivasound, Obsession, and fun gigs with Dave Will, Jez and Jim, plus Fanackapan, has left him with a wealth of experience. 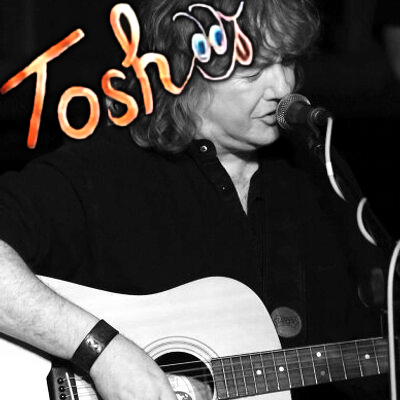 Tosh has served a life time apprenticeship in the world of Pub and Club entertainment, he continues to work hard and gives his audiences what they want, with no compromise. Thankfully this is reflected in the regular bookings he gets, and Tosh is grateful for the continued support from family, friends, colleagues, the establishments he plays in, and his audiences. Tosh’s solo act has the advantage of having a full band added, known as The Moonlighters. Tosh (and sometimes’The Moonlighters’), entertain mainly in East Anglia. 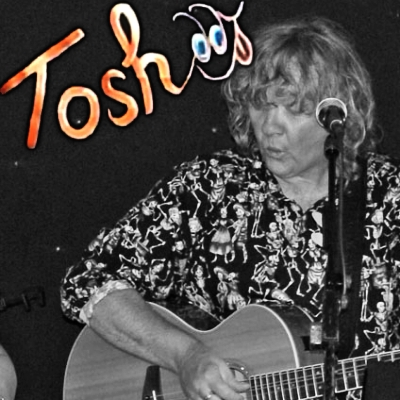 Tosh and the band will, however, be glad to entertain audiences all over the country. 2001 saw the first Reedham Folk Festival take place; the band performed so successfully that they have been booked for every Reedham Festival since. The 1st Reedham Folk Festival ended the 6th successful summer season for Tosh at The Reedham Ferry Inn, Norfolk. 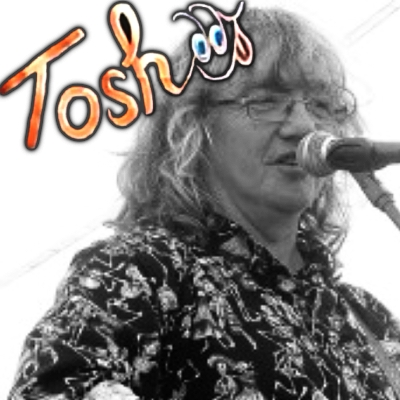 As a songwriter, Tosh has been writing songs since the early age of eight and, up until recently, has been a member of The British Academy of Composers and Songwriters. Tosh entered the Eurovision Song Contest on various occasions but never managed to get a song into the finals.